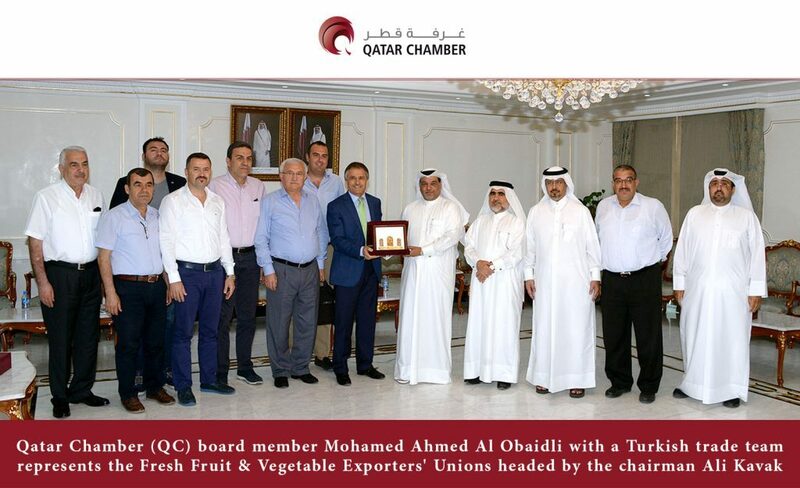 Qatar Chamber (QC) board member Mohamed Ahmed Al Obaidli met here on Tuesday with a Turkish trade team represents the Fresh Fruit & Vegetable Exporters’ Unions headed by the chairman Ali Kavak. The members of the QC agriculture committee were present along with local agriculture companies. The meeting focused on ways of enhancing cooperation between businessmen from both sides in agriculture sector. Attendees assured there is a strong desire from Qatari and Turkish businessmen to explore the available investment opportunities in Qatar and Turkey. Qatari agricultural companies are keen to know about the opportunities offered by the Union’s members as the State of Qatar places a great importance to food security, al Obaidli noted.